Big and exciting at 130,000 tons and carrying some 3,646 passengers double occupancy, the Carnival Magic and her sisters are Carnival’s largest and newest vessels. Introduced in June 2011, Magic feels a bit more toned and high-end, design-wise, than her older fleetmates—but let’s not split hairs: The ship is another incarnation of the bright and busy floating resorts Carnival is famous for, and offers some impressive new innovations. 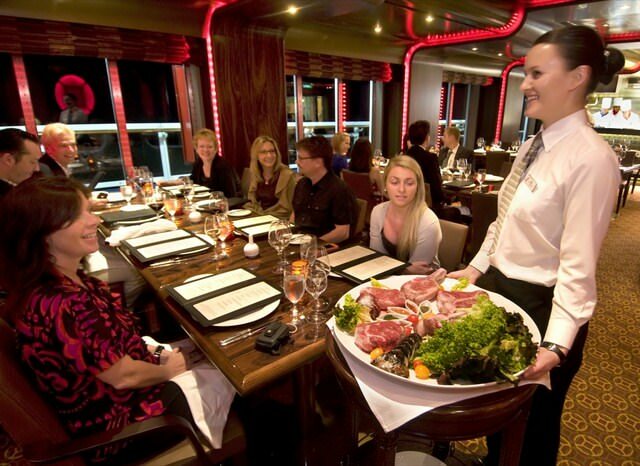 Passengers indulge in the culinary delights offered in Carnival Magic’s Prime Steakhouse. Photo courtesy of Carnival Cruise Lines. For example, yesterday’s ho-hum Internet centers have morphed into the Fun Hub, an onboard social networking tool that guests can access via their own computers or devices, or at one of the 36 Fun Hub stations scattered around the vessel. You can create a personal profile and interact with shipmates, plus access information about onboard entertainment, dining and ports. There’s also a fresh new indoor-outdoor entertainment space called the Lanai, which stretches from one side of the ship to the other on the Promenade deck ans offers a pair of over-sized ocean-view hot tubs cantilevered out over the ship’s rail, plus a café and a bar. Another industry first: 15-minute laser light shows set to rock music by Pink Floyd, Van Halen, Boston and other classic bands. 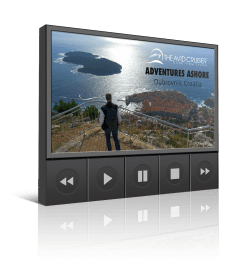 The daily shows are offered on the giant outdoor movie screen in the Seaside Theatre on Deck 12, where you can also catch films and concerts. Magic also introduces the first ropes course at sea, where guests can strap into a safety harness, choose between beginner or intermediate courses, and work their way along 230 feet of rope bridges, swinging steps, and beams suspended above the top deck. Most of the ship’s entertainment venues reside on Decks 4 and 5, making the area especially conducive for bar hopping and strolling. Magic has a grand three-story show lounge, a pair of two-deck high main restaurants, a sushi bar, an elegant steakhouse, and a sprawling two-deck-high indoor-outdoor buffet restaurant offering just about everything. 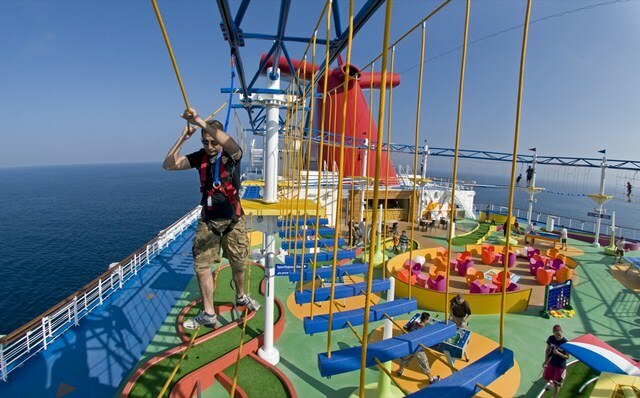 The cool factor aboard Carnival Magic is undoubtably the SkyCourse, the first-ever ropes course at sea. Photo courtesy of Carnival Cruise Lines. The Cloud 9 Spa and huge gym take up the forward section of three decks, and include the adults-only Serenity outdoor relaxation space. The Deck 10 pool area is hub of skimpy bathing suits, cold drinks and fun contests, while the kids are catered to on Deck 11 in the Magic’s city-sized Camp Carnival play area for ages 2 to 11. Other parts of the ship coddle tweens (ages 12–14) and teens (ages 15–17) with dance floors, Wii video games and more. Fun lovers of all ages will appreciate the four water slides, one a 214-foot long twisty thrill ride, not to mention three pools and seven hot tubs. There’s also the Carnival Waterworks “sprayground,” miniature golf course and a combo basketball-volleyball court. As aboard Carnival’s other ships, Magic’s cabins are roomy, with standard inside cabins measuring 185 square feet and outsides a generous 220 square feet. All sport very comfortable bedding, plus a TV, minibar, hair dryer, small sitting area, and bathroom with shower. A range of higher-category cabins and suites, including the Cloud 9 spa cabins, offer even more amenities and space. For something different, check out the Cove Balcony cabins, set down near the waterline—reminding you that you really are at sea, even on this giant ship. I just returned from a European cruise to Europe and it was a wonderful experience. The cruise director, John Heald, is so entertaining. The ship was lovely and I never felt overwhelmed with the size. After 12 cruises, this was the largest ship I had sailed on but it was just fine. There is a travel photographer, Radu Ursu, that was one of the best I have ever seen taking port photos. I returned home with many to remember my time in Europe. He captured each port beautifully. Yes, the Magic was truly magical. The ship had several magicians on board that would entertain children during dinner and during the day. This was a nice touch for the magic to have magic on board. The children loved it! Lovely experience from a person that was never a huge Carnival fan. I prefer smaller ships but due to others inviting me to go along, I must say, I enjoyed it very much. Thanks for your comments Becky. I’ve met John also, and he is amazing. Have you seen my interview with him, The Many Faces Of John Heald? You can always count on Carnival to deliver a solid, and value-priced, vacation experience. Thanks for sharing! I went on a 12 day cruise with my Family on Carnival Magic. Just to paint the picture, it was my parents my 14 yr old sister and myself, I am an 19 year old girl. The first knock back that came to surface was my age. I am from England so at 19 I am classed as an adult. I work full time, making my own living, drive my own car pay my own bills etc. On board Carnival Magic I am not an adult… but I am not a child. I wasn’t allowed a cabin in my own name, nor was I allowed to purchase alcohol on board. However, I was allowed to GAMBLE and smoke. I completely understand it is an american cruise liner, but we were in the Mediteranian! Baffled me. Regarding age, anyone between age 16 and 20 I would NOT recommend this cruise for. Beside the fact that I didnt really fit in to the scene just because of my age; the ships amenities were fantastic. Pools were WAY too small and NOT enough sunbeds. Most sea days I was sat in the shade. It was not relaxing because I was constantly thinking about the will to relax in the sun. I resided to the fact I should make use of Red Frog. Brilliant atmosphere, best place on the ship. Barmen were great fun and was a lovely place to chill out. Sea days were rubbish. I was bored stiff. Water park was fun! shame the pool was sea water though. Ports of call were good. Too much of Italy. Excursions were far too expensive. Food was very yummy. Was always absolutely stuffed. Gym facilities were great. Shame a spin class was $12!! Personally I would not go on a cruise ship until i am much older. 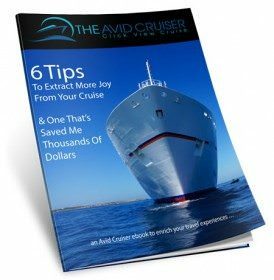 Hope this helps any parents who are thinking of taking their teenagers on a cruise! Thanks Amber. Great review, and good points. Very interesting perspective for teens. I have one, but she’s only 16. Thanks for sharing. See you on board when you’re 21! I’m not a fan of Carnival Magic. The ship had serious overcrowding issues and the lack of staff in the buffet was very much noticeable compared to other similar lines like RCCL. I will say our stateroom was big and clean, which is a good thing because that’s where we spent most of our time (on our balcony). Thanks for sharing your perspective. Notice any difference in the quality of the food on the two? The buffet on Carnival Magic is where the overcrowding issues were very apparent. Massive crowds combined with lack of servers (in the buffet on Carnival it’s self serve for drinks for instance) it made dining in the buffet unpleasant. The buffet had very long lines. Food quality in the buffet was ok but the selection was limited compared to RCCL (Explorer of the Seas). RCCL’s buffet has many more choices, tasted far fresher, and there was constantly servers refillign drinks, cleaning tables, etc. The layout of the buffet made more sense as well helping with flow. MDR food on Carnival as well as their sit down “Brunch” (they combine breakfast and lunch sitdowns) was good. The service levels in the MDR was excellent and the food quality was decent. RCCL also had great MDR service however I did find RCCL food to be very heavy in terms of sauces. My favorite cruise food wise was on the Star Princess. Lots of seafood, always fresh, the MDR food was to die for (and was the quality of the food was a cut above both Carnival and RCCL. Between my 3 cruises I would consider RCCL and Princess again, but not Carnival. The lack of service (cutting corners?) really showed in multiple areas on the Carnival Magic. The entertainment for example was all imported from the Phillipines and felt sparse. My wife is Filipino so this isn’t a knock on the Phillipines, more a knock on the cruiseline as they were obviously paying bottom dollar. There was almost no live entertainment on the lido deck, they had a “DJ” instead that played loud club type music most of the day. 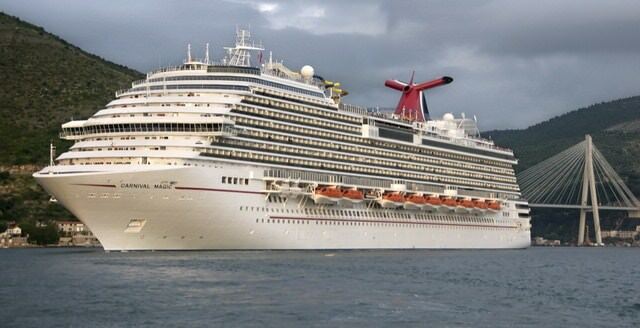 My issue with Carnival Magic is that where they cut costs it REALLY showed — lack of staff, overcrowding on the ship, food quality up and down depending on venue. RCCL and Princess were FAR more consistent across the board with Princess coming out on top in terms of food quality and service. RCCL had the nicest ship of the three (Explorer of the Seas), Carnival had the largest cabin. I sound like I’m complaining but I’m not really … we only paid 400 bucks per person for a balcony cabin on that Carnival Magic cruise using a casino rate. We definately got value for what we paid, however, if I was to do it again I would pay more for a better experience. I’m actually looking at the upper premium (Oceania, Azamara, Windstar) and luxury lines (Silversea, Seabourne, Crystal). I don’t think I can afford the full luxury but I’m thinking upper premium might be a good alternative. I really liked the experience on Princess (considered to be a premium line). I might also look at Celebrity. One other option is the “Ship in a ship” concept … MSC’s Yacht Club looks interesting and my parents rave about MSC in general.